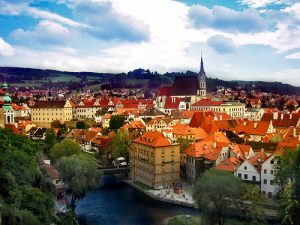 The Czech Republic as we know it has only been in existence since 1993, but in this short time its economy and property market have come on in leaps and bounds. And the Czeh Republic’s accession to the EU in 2004 has further strengthened its economic health. The modernisation of this former Easter Bloc country began back in 1989, when the Velvet Revolution saw Czecheslovakia oust its Communist leadership and end its association with the USSR. Four years later, the Czech Republic and Slovakia separated and became independent countries in their own rights. The Czech Republic’s property market can now be effectively divided into two zones: Prague and everywhere else. Prague’s legion of overseas companies and foreign workers, plus a booming tourism industry, have combined to create a capital city with an average wage that’s 50 per cent higher than the national figure. And consequently this wealth is reflected in Prague’s property market. The districts of Prague are referred to by number; the most popular with ex-pats tend to be the stylish, cosmopolitan Vinohrady district (Prague 2 and 3), the slightly cheaper Dejvice (Prague 6) and Vrsovice (Prague 10) districts. Property values in these areas have been rising steadily by around 15 per cent per annum. 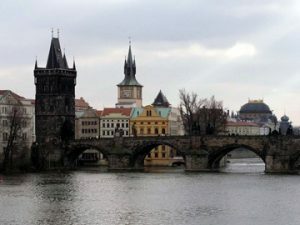 To give an example of Prague’s ascendancy, a one-bedroom flat in the town centre will set you back around £70,000, whereas a similar apartment in the centre of the Czech Republic’s second city, Brno, will cost closer to £40,000. There’s a current trend among Czech nationals to migrate from the countryside towards the larger urbanisations, where rental costs are higher but salaries are better. This means two things for the foreign property investor: there are plenty of buy-to-let opportunities in cities such as Prague and Brno, but there are also a whole host of bargain-basement countryside properties ripe for development. With luxury ski chalets, Baroque castles and chic city pads all a cheap two-hour flight away, what are you waiting for ?